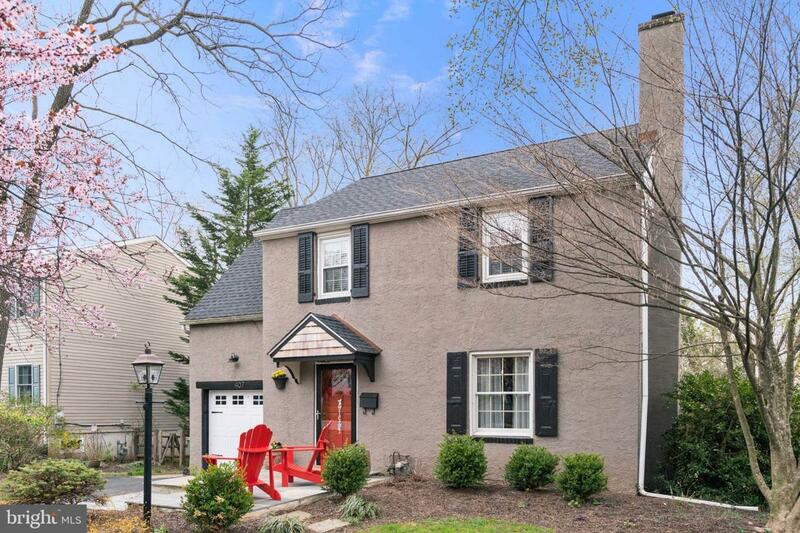 Charming Olde Fort Washington Center Hall Colonial in Upper Dublin Township, one of the most desirable areas in Montgomery County. The home greets you with a quaint exterior, a new flagstone patio at the entry, and lovely mature landscaping. Entering the home, you find newly refinished hardwood floors through the main level. A traditional floor plan with a modern design touch makes the home feel fresh yet grounded. 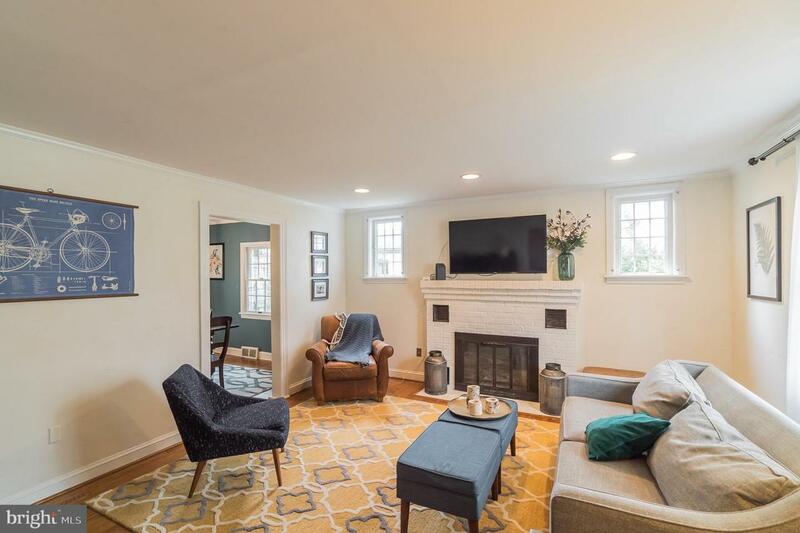 The formal living room to the right has a painted brick wood burning fireplace and serves both family gatherings and serious entertaining. The living room flows into the formal dining room. A statement chandelier gives this room a great sense of style. Spacious enough to serve large parties and with a flow through that makes entertaining natural and easy, it's a modern spin on a traditional floorplan. The kitchen is a showstopper as well. With cathedral ceilings, lots of windows, stainless appliances, a center island and a banquette, you can do it all in this space. The added family room is ideal for today's buyers as the entire space serves as an all-purpose gathering spot. A wet bar and butler pantry as well as a pantry closet and a half bath are just a bonus. A spacious deck off the kitchen creates an easy indoor/outdoor vibe and makes outdoor cooking and serving a breeze. Additional living space is found in the lower level bonus room with a half bath. This is an all-purpose space as well that can serve as a kids play area, a home office, an additional family room, a home gym or anything else you can think of. It's approximately 500 square feet of finished space that added to the upper levels makes this home 2476 square feet. The upper level of the home continues with original wood flooring. There is a spacious master bedroom with great closet space and lots of light. The second bedroom has great space and custom designed closets. The third bedroom benefits from an en suite bath and bookshelf built ins, offering lots of additional storage. The hall bath is a charming space with lots of original details. Walk up attic access rounds out the upper level and offers plenty of opportunity for additional storage with easy access. The backyard is deep and wide and level. There is an attached one car garage with an automatic opener. An extra wide driveway offers additional convenience as well. A new roof in 2017, new boiler ins 2015 and newer oil tank, wood frame replacement windows, a fully waterproofed basement with battery backup mean most of the big ticket items are relatively new. 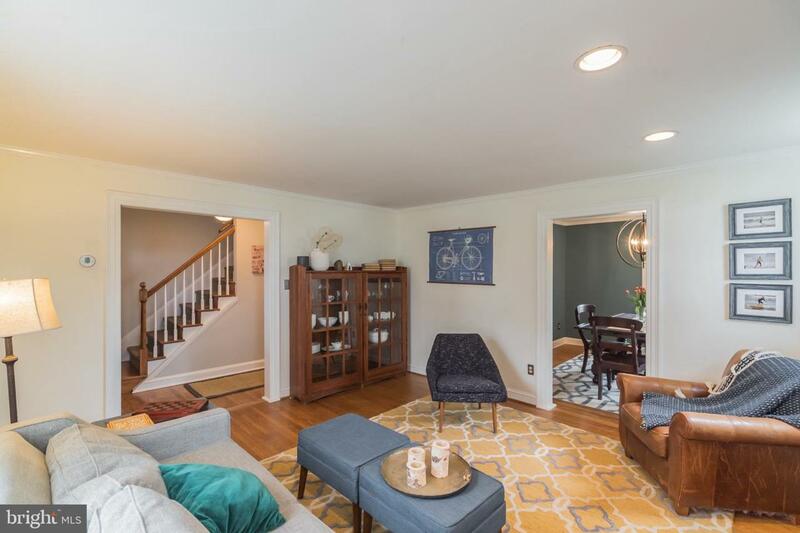 This home is walkable to the Fort Washington Train Station, steps from a township park, two blocks from Fort Washington Elementary and four blocks from the new Upper Dublin High School. Easy access to Route 309 and the turnpike as well. 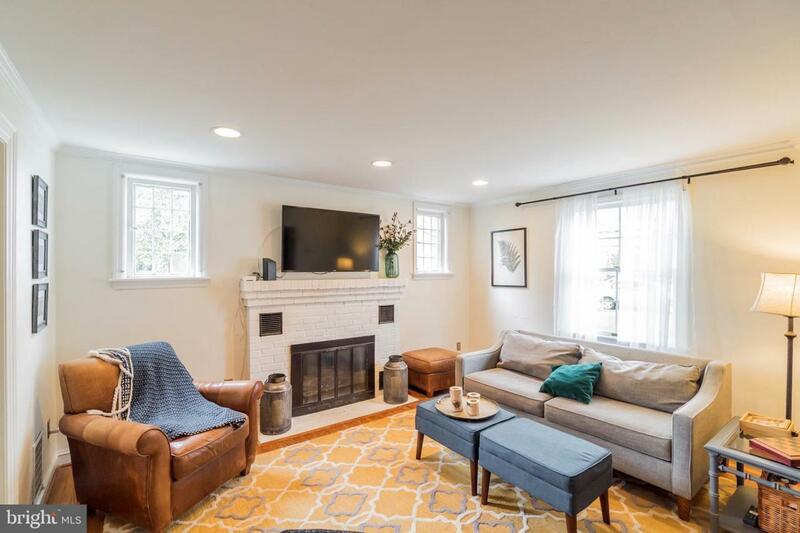 The current owners have lovingly cared for and improved this home and now it's ready for its next owner. Showings begin at the Open House on Sunday April 14th 1:00-4:00.